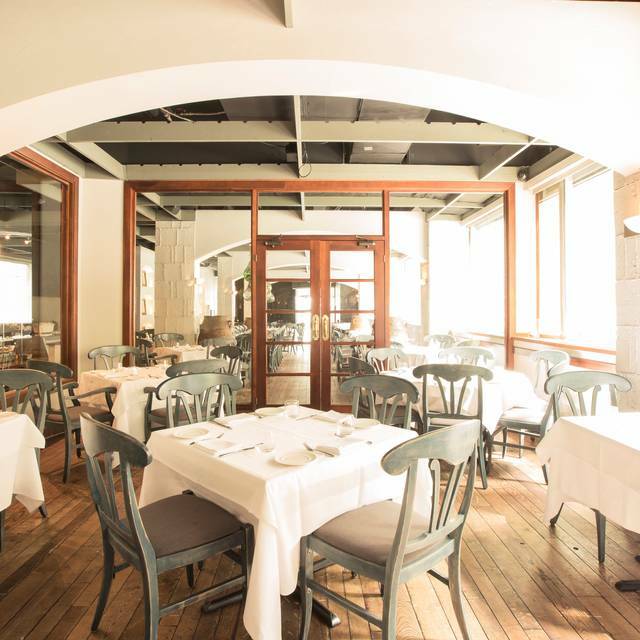 You must make reservations at least 5 minutes in advance of the time at Estiatorio VOLOS. Valet parking is available adjacent to the restaurant at the Hilton and Sheraton hotels. Public lots are also adjacent to the restaurant at the Four Seasons Centre for Performing Arts, 150 York Street & Richmond-Adelaide Centre. Street parking is available on York Street. SUBWAY: Osgoode Station (Volos is 1 block south & 1 block east) and Queen Station (Volos is 1 block south & 2 blocks west). 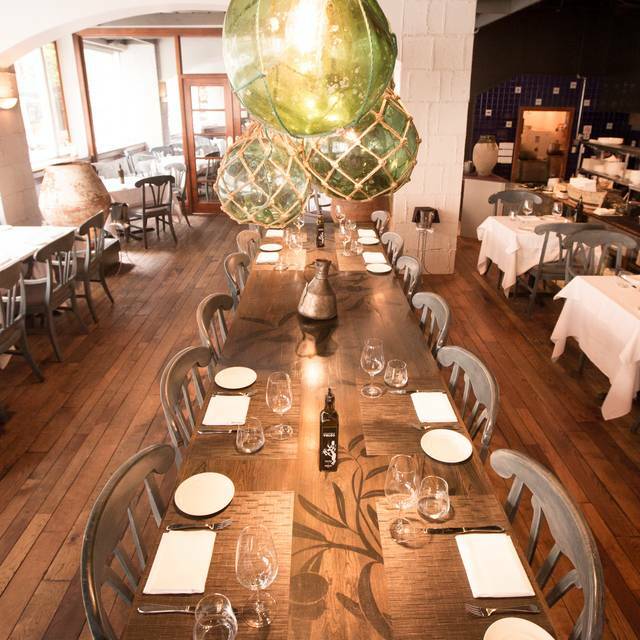 VOLOS HAS PRIVATE DINING FACILITIES AND A CELEBRATION TABLE FOR SPECIAL EVENTS. 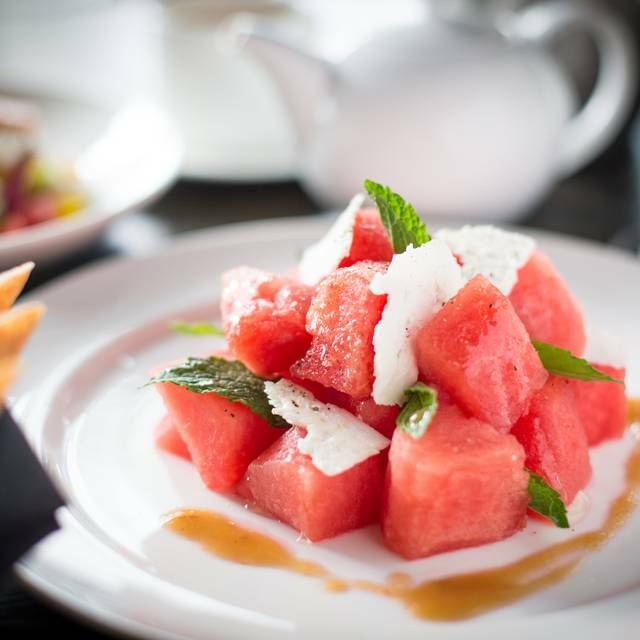 Fresh, healthy flavours and emphasis on beautiful presentation please both the appetite and eyes at Volos. 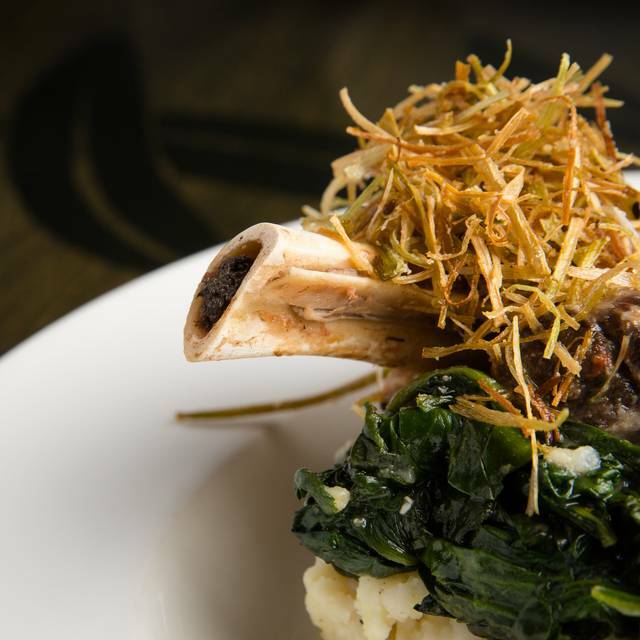 Modern twists on traditional Greek dishes and Greek twists on local Canadian ingredients create a contemporary culinary experience rooted in authenticity. The restaurant sources the highest quality local produce, superior quality cuts of meat and the best fish, delivered daily. Like the menu, the interior plays with different Greek elements and motifs. Natural wood and stone combined with artful and ambient lighting lend a seductive and comfortable atmosphere. We invite you to enjoy the Volos experience. Server too earnest, disrupted conversation several times. Actually had to be asked se veral times to go away after interrupting business chat. Very annoying. Came for an early dinner so it was relatively empty. Great service from our server who offered some great recommendations from the wine (Tin Barn, Sonoma, 2014) to the main courses. Lamb rack was done perfectly. Easily recommended. Meatball appetizer is a must (sauce is everything and it was spot on). Happy to come back when back in Toronto. Well done! We had a lovely evening, a fantastic server and delicious Greek wine. We have been to Volos before and highly recommend the lamb and yes the Greek wines. I find the shrimp appetizer and the desserts are not up to the standard of the other menu items. The prefix menu is fantastic is before the opera and ballet! We had a great time. Reasonable wine options were limited. Would love to see more affordable wine options. My wife and I totally enjoyed our evening at Estiatorio VOLOS. It was just next door to our hotel and we initially selected it because of its proximity. As it turns out, that was just a bonus because the quality of the food and service and the pleasing atmosphere made this a special night. Service was attentive but not intrusive. The sea bass my wife had and the scallops I ordered were spectacular. We paired this with a Chardonnay recommended by our server Katy and it could not have been better. Would recommend this place for seafood and although we did not have them, there were several lamb selections that looked very tantalizing. Great service and wonderful food in a place with perfect ambiance. Food was fantastic and so was the service. We booked a table in advance. Waiter was helpful and food arrived in a timely manner. Pre theater dinner with family members. Fabulous food, something for everyone. Always try to stay at a nearby hotel when in Toronto, just so we are close to VOLOS, our favourite restaurant!! 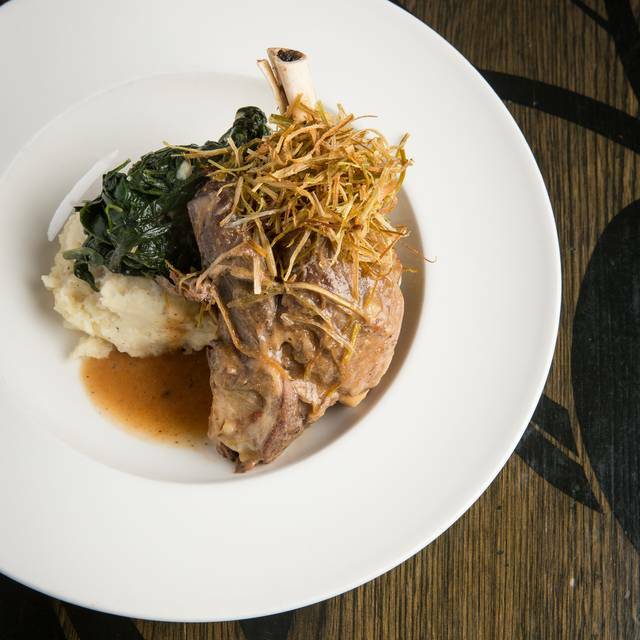 Great selection of Mediterranean fare from seafood to lamb. Braised lamb was amazing, melting off the bone, very flavourful. If you've never had grilled octopus you need to try it. Baklava was perfect as was the service. Would definitely go back! Loved the restaurant. Menu choices were excellent as well as service and presentation. Will definitely return when in the area. 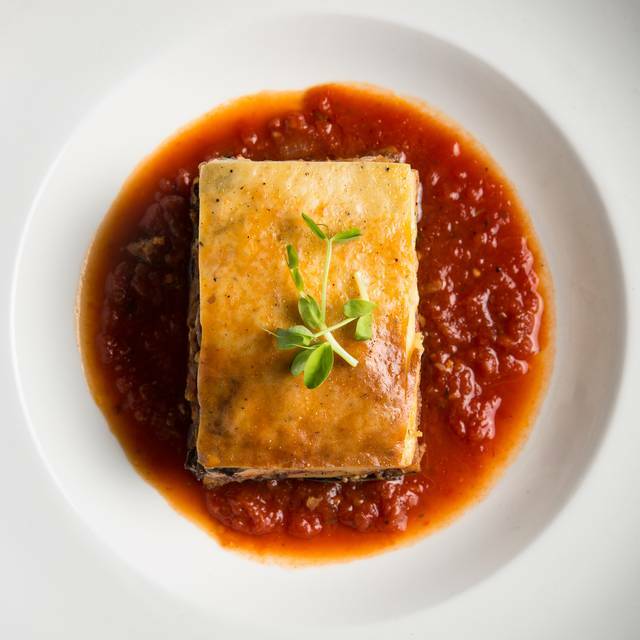 Great Greek cuisine and superlative service! The alcohol list is limited but well-selected. A bit noisy and cramped when I was there. First time there. We had our servers recommended apps and dishes. Calamari and grilled octopus apps. Mains were scallops and Chilean sea bass with mussels. Both excellent. Baklava with Riesling late harvest wine for a desert. Will return and recommend for sure. A small menu selection. Each of the items were simply delicious. My seafood stew was delicious, as was my dessert of figs and yoghurt. The server was attentive but patient, and my friends and I were able to sit at the table and chat long after we'd finished eating. This was my second time at Volos and I would definitely go there again. I'm definitely bringing the family next time. It was good for a business meeting, and my client was impressed too, something that is hard to do with world travelers. Well done Estiatorio Volos! I assumed as this was in the financial district they were used to business dinners however the service was not great, servers are not attentive. Opentable indicates a cocktail menu and they do not have one. The food was mediocre if that. Appetizers were better. Not recommended for a business meal. go there if you have a lot of time to spare. Disappointed as i love Little Anthony's across the street should have went there. Food is always really good and the service is impeccable. We thoroughly enjoyed our visit. It was a special occasion and staff made it more so. Food was great too. Will return. Thanks again. Travis gave us amazing service and we had a wonderful dinner! One large problem: having always booked for 5:45 before a 7:30 ballet, I received a call the day we were scheduled to eat, suggesting we arrive at 5:00 instead if we “want to be out in time”! Fine time to pass along this news. Managed to reach the others, we all shifted what we could, arrived at 5:30and were out by 7. The place was half empty. So what the heck was this all about? Extremely annoying start to the evening. Will rethink returning to a place wechave akways enjoyed as a result. The dinner at Volos was for business. We had 6 people and we were seated at a round table which was ideal for a group conversation. The waiter was very patient as it took us 15 minutes before we were ready to place our orders. The waiter provided very helpful suggestions for appetizers to share. He also made good recommendations from the wine list. Our entrees were delicious. The overall setting matched exactly what I was hoping for this business dinner. 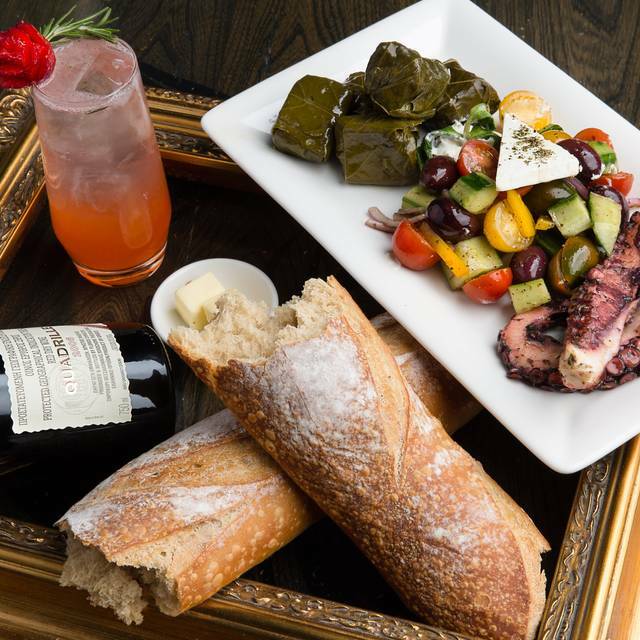 Superior Greek cuisine and excellent Greek wine. Sophisticated but comfortable atmosphere, and very accommodating management. We were there with a large party and everyone was quite happy with food and service. I had the fabulous Fisherman's Stew. Fantastic! Would definitely come again! Food and service we’re great, we’ll definitely be back! The food was delicious and the servers were really accommodating with our allergies and dietary restrictions. Very friendly and helpful with describing wines and food options. Gorgeous decor and a really nice selection of tasty food. A great option for a date night or a special occasion. 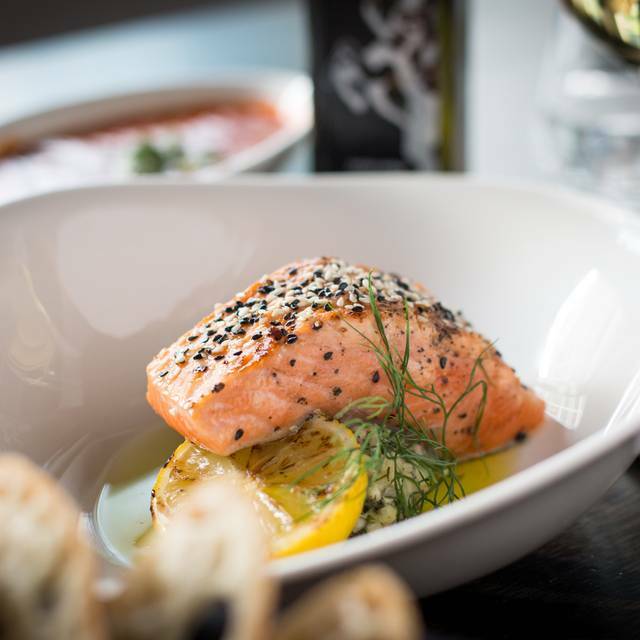 Consistently some of the freshest seafood in the city and top notch service making for a wonderful dining experience. 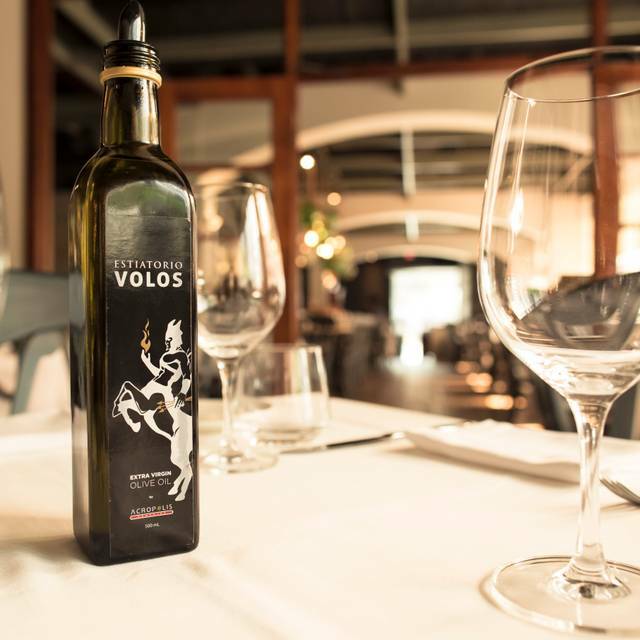 I recommend Volos to friends and colleagues regularly. We were delighted with our pre-theatre choice of Volos. How refreshing to be treated to a delicious dinner with excellent service knowing we were headed to the theatre. Often, under these circumstances the service is lacking and brusque - but not at Volos!! Thank you for a lovely dinner and experience. Always a pleasure to have a delicious meal before Ballet.